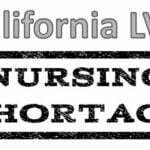 Can an LPN Be a PACU Nurse? In most cases, a PACU nurse must be a registered nurse. 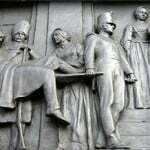 The nurse must be an expert at using all aspects of the nursing process. Most medications administered in the PACU setting are administered via IV routes. LPNs lack the education and legal authority to meet the needs of most patients recovering from sedation. If working in a PACU area intrigues you, you need to become a registered nurse. I recommend that you pursue a BSN degree while you obtaining your education to be an RN. You will have a broader array of career options in this changing field. What Skills Do PACU Nurses Need? Since PACU Nurses care for patients that are sedated, they must have excellent assessment skills. PACU nurses must be know how to operate several types of medical equipment. Patients are likely to require an array of infusion devices and suction equipment. They may be on ventilators. Patients waking up from anesthesia may experience dyspnea, disorientation, fear, vomiting, and pain. Nurses need to know how to manage these symptoms. PACU nurses work closely with doctors, operating room staff, and respiratory therapists. They provide education and emotional support for family members. Some PACU nurses choose to work in specialty hospitals. They provide services for a specific type of patient. For example, a nurse may desire to work in a facility that specializes in cancer treatment. Another nurse may specialize by working in facilities that correct congenital malformations of newborns. As medical treatments are being provided more frequently in outpatient settings, a PACU nurse may find employment in a pain clinic or freestanding minor surgery center. What Do I Do Next If I Am Interested in Becoming a PACU Nurse? Further your education. Begin taking classes so that you can become a registered nurse. I recommend that you examine nursing programs which will lead to a BSN degree. Programs are available which serve as a bridge between LPN education and your RN education. These programs enable you to complete your degree in the shortest amount of time. Read more about LPN to BSN bridge programs. You may be able to enter a university which follows a non- traditional schedule. It is possible for you to begin taking classes within a few weeks. Some programs give you the option of attending most classes online. Universities are available that offer opportunities to complete one course at a time. If you plan to work while you are attending school, try to obtain employment on a medical surgical unit of a hospital. The important thing to do is to take action. Each step that you take will bring you closer to being an RN with a BSN degree that will open doors for you during all of your working years.